Article from The Tuam Herald December 22nd. 2010 when Brigid Carty celebrated her 100th birthday. The recent 100th birthday party to mark Mullaghmore woman Brigid Carthy reaching the century mark also helped the orphans in Zambia as, instead of presents, Bridget and her family suggested donations, if desired, to help the less well off in the African country. “As our mother would not want presents and a fund was set up for an orphanage operated in Zambia by our neighbour, Sister Rose, (formerly Winnie McHugh). In total €1,500 was raised for this very worthy cause,” says her son TJ. Brigid, who resides with her youngest son TJ, his wife Margaret and family, Tomas, Padraic and Kelly Marie at Mullaghmore, Moylough, has lived in that same townland for her entire life. Born on December 8th 1910, she was the younger of two daughters born to Thomas and Mary McHugh. Her only sister Molly died back in 1955. The girls were educated at St. Joseph’s National School, Ballinruane, and Bridget worked on the farm from a very early age and she says she has also loved farming and living in Mullaghmore. Married in 1944 to Patrick Carthy, they had seven children of whom four still survive, Pat, Ted, Mary and TJ. Her first-born child, Bridie Ann, died when she was only five years old and that was a time of great sadness for Brigid and Patrick. Two baby boys also died soon after birth and her husband, Patrick, died suddenly in 1982 at the age of 65. Brigid continues to be the centre of attraction for her family including her 22 grandchildren and nine great-grandchildren. On her 100th birthday, Mass was celebrated at her home with family, neighbours and close friends. Brigid was in great form and enjoyed the occasion. Three days later a bigger birthday party was held in The Forge, Moylough and a much larger circle of friends and relations attended. Her cousins travelled from Warrington for the occasion and they also made the birthday cake which was enjoyed by all. Her former neighbour, well-known race horse owner in London, Bobby Burke, owner of dual Grand National winning winning horse “Bobby Joe”, also presented specially engraved pens to all the guests to mark the occasion. 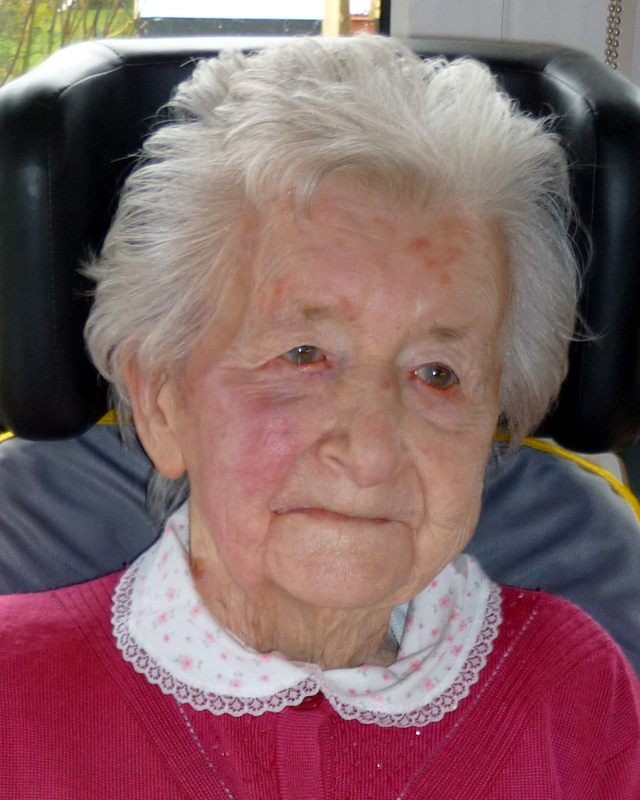 Brigid’s family thanked everybody for making her 100th birthday such a memorable occasion. This page was added on 15/10/2014.